I’m Paper Pumpkin - You're crafting Fairy Godmother . . . I come in a sweet box, but you’ll really love what you find on the inside:All the stamps, ink, paper, and accessories to create pinable projects. Create stuff like cards, journals, décor, and more! It’s so easy to get started. Simply sign up for the program now by visiting My Paper Pumpkin and click “Get It.” Be sure to choose me (Julie Edmonds from Pacific, MO) as your demonstrator during the ordering process. Each kit includes stamps, ink, paper, and accessories-everything but adhesive. Each kit takes about 30 minutes to complete. A luscious, creativity escape. Stampin’ Up! will ship your Paper Pumpkin on or around the 15th of the month. You need to sign up for a kit by the 10th of the month to get that month’s kit. If you sign up on the 11th of the month, your first kit will come the next month. 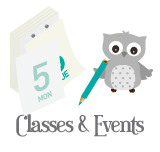 For example, if you sign up on May 10th, Stampin’ Up! will send your kit around May 15th. If you sign up on May 11th, they’ll send your first kit around June 15th. 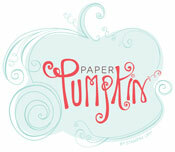 A Paper Pumpkin membership is $19.95 per month and shipping is included! Special Paper Pumpkin Subscriber Perk - Current subscribers get exclusive access to While Supplies Last Kit refills and previous kits - check out what's currently avaliable. Want to give Paper Pumpkin as a gift? It's so easy with the Prepaid Kit option. Simply choose the subscription length below - purchase it and you'll receive a code by e-mail that can be redeemed for the subscription. It's a Paper Pumpkin Gift Card! Have more questions?? Check out the FAQ at the bottom of the page or contact me. 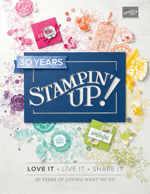 Q: Why is Stampin' Up! offering Paper Pumpkin? A: Good question. Paper Pumpkin is the perfect introduction to Stampin' Up! It's designed it for crafters that want to create a project each month - It's a great way for new Stampers to begin Paper Crafting and experienced crafters to add to their collection. A: Yes, of course it does. The instructions will tell you everything you need to know. And they are so easy to follow. Plus I'm just an e-mail or call away! If you need help or have questions about your kit don't hesitate to contact me. Q: Should I get on the Paper Pumpkin carriage? A: Definitely, yes. Just think of it-a Stampin' Up! 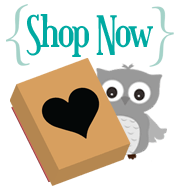 surprise delivered to your doorstep every month (wahooo!) Paper Pumpkin offers a simple, creative experience each month. What's more-sometimes, your monthly kit features . . . wait for it . . . some exclusive products you can only get through Paper Pumpkin. Try it and see what you think. You can cancel your membership any time. A: Paper Pumpkin is $19.95 per month. Because your Paper Pumpkin ships automatically to you, we have already built in the shipping costs. Q: How do I start my Paper Pumpkin membership? 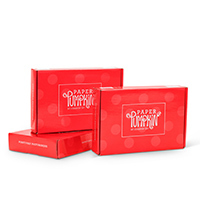 A: Visit www.mypaperpumpkin.com to sign up-it's that easy! A: You need to sign up on or before the 10th of the month in order to receive your Paper Pumpkin for that month. If you sign up after the 10th#no worries! You will get your first kit the following month. You'll know your Paper Pumpkin is on its way when you receive your shipment confirmation e-mail. A: You sure can! Simply log on to your account and click "manage my account", then click "skip a month" on or before the 10th of the month in order to skip the Paper Pumpkin for that month. If you do this on the 11th of the month, you will receive that month's Paper Pumpkin and not receive the following month's Paper Pumpkin. A: You must submit a 10-page essay about why you would ever want to do such a crazy thing. (Just kidding.) It's simple. Simply log on to your account and click "manage my account", then click "cancel" on or before the 10 th of the month in order to cancel completely. Then, you will not receive any more Paper Pumpkin kits (how sad). If you cancel on the 11th of the month, you'll receive that month's Paper Pumpkin and will not receive any more Paper Pumpkin kits. A: If you are not thrilled with your Paper Pumpkin, please call us at 1-800-STAMP UP,we'll chat and make everything hunky dory. A: If you are an active Paper Pumpkin subscriber, you can purchase a limited selection of past kits. A: One of the best parts of your Paper Pumpkin membership is that you never know what is going to be in that beautiful red box. It's like opening a present every month-we don't want to ruin the surprise for you! A: You will receive a special free gift with your first month's kit-a clear-mount acrylic block. You will need your clear block each month to use the stamps that will come with your Paper Pumpkin. Simply press the stamp firmly onto the clear block and the stamp will adhere to the block. Ink up your stamp, and you are ready to go! When you are finished stamping, just peel the stamp off the block. 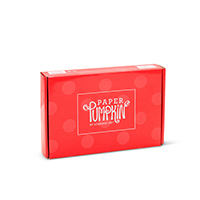 A: Your Paper Pumpkin will ship from the Stampin' Up! warehouse on or around the 15th of the month. You will get an e-mail notifying you that your card has been charged-expect your Paper Pumpkin soon! A: If your Paper Pumpkin does not arrive on your doorstep please call us at 1-800-STAMP UP and one of our friendly customer service agents will help you. A: Your credit card will be charged as soon as your Paper Pumpkin ships (Generally around the 15th of the month). A: Prepaid subscriptions provide an opportunity to purchase several months of Paper Pumpkin all at once. A: When the order is paid for and closed, you will receive an e-mail with a redemption code and instructions on how to redeem. You will enter the code on the Paper Pumpkin site. The system will recognize the number of months you've paid for. Be sure to enter all your information on the site so when their prepaid subscription runs out, you will continue to receive Paper Pumpkin kits without interruption. A: Of course! After you order and enter the code, the prepaid months will be used up before any future shipments are charged. When the prepaid months are over, the subscription will continue and be charged monthly to the credit card on file. A: Yes. If You're hosting a workshop, a prepaid subscription can be added to either the free or half-priced hostess items. You'll also earn hostess rewards on any subscriptions you or your guest purchase! !